Check New Moto G (2nd Gen) price in India and launch day offers via Flipkart. New Moto G (2nd Gen) latest Smartphone launched by Motorola yesterday in India is available to purchase from Flipkart online retailer store with price tag of Rs. 12,999. Only dual SIM 16GB variant of Moto G (2nd gen) is listed online which comes in White and Black colors options. Moto G (2nd gen) is the best Smartphone for the customers looking for larger display screen, better camera and stylish looking for price tag of around INR 13,000. The Smartphone launches with 6 offers provided by Flipkart which is stated as launch day offers. To buy one just follow the below link and make New Moto G yours. 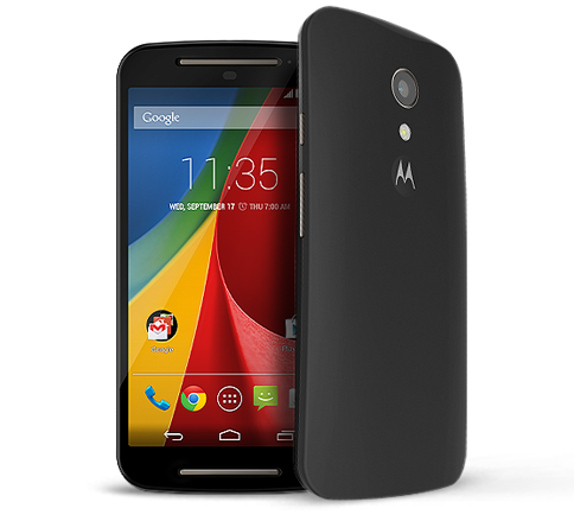 The new Motorola Moto G 2014 comes with a 5-inch HD IPS display and is equipped with Gorilla Glass screen protection. It is powered with 1.2 Ghz Quad Core Qualcomm Snapdragon 400 processor coupled with Adreno 305 GPU and 1GB RAM. Storage front, there are two variants carrying 8GB and 16GB of inbuilt memory and there is option for storage expansion with microSD card. The device runs on Android 4.4.4 KitKat out of the box and the company has promised Android L update in the coming days. 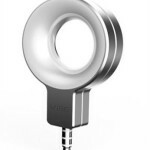 There is 8 MP rear camera with LED Flash and 720p HD video recording at 30fps and there is 2 MP snapper on the front. On the connectivity front, it includes 3G, WiFi 80211.ac, Bluetooth 4.0 LE and GPS and is packs with 2070 mAh decent battery on the back to power the Smartphone. The New Moto G (2 Gen) comes in black and white colours and is priced at Rs. 12,999 in Flipkart online retailer store. The Smartphone comes with launch day offers from Flipkart which includes Lucky draw offer for 100 customers to get 100% cashback, Flat 70% off on 1-year subscription of any digital magazine from the India Today Group and get one issue of Reader’s Digest India for free, free preselected eBooks worth Rs. 1000 on downloading the Free Flipkart eBooks App, 35% off on shopping via Myntra app, Discounts worth Rs. 6000 on Flipkart and 50% off on Moto G (2nd gen) cases and covers. The Flip covers and back covers for the Motorola Moto G (2nd gen) would go on sale starting from September 15th on Flipkart. So claim 50% on covers, just grab today’s launch day offer.